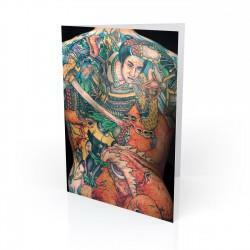 Born in Los Angeles, Richard Todd is recognized internationally as one of the world's premier Tattoo photographers. His photographs have appeared in exhibitions and publications worldwide, and can be found in many of the leading private and museum collections in America, Europe and Asia. 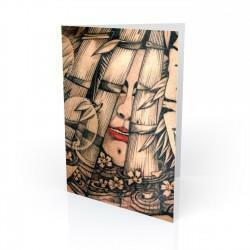 "Bill & Junko" Gift Set, Tattoo Art by D.E. Hardy and Hori Toshi The perfect gift for your l..
"Nakano Family" Gift Set, Tattoo Art byHori Yoshi II and Hori Yoshi III The perfect gift for you..
"Octopus" Gift Set, Tattoo Art by Tom Donavan The perfect gift for your loved ones, or a great g..
"Whooo R Youuu" Gift Set, Tattoo Art by Suzanne Fauser The perfect gift for your loved ones, or ..